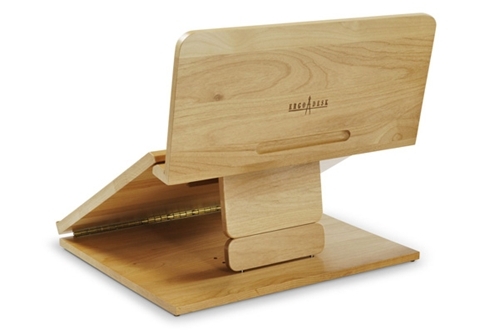 Each 2" extension piece adds an extra 30° angle to the Ergo Desk writing platform. Stack up to 3 for a maximum of 6" additional height. Fits both the Ergo Desk Classic and the Ergo Desk Designer in matching wood finishes. 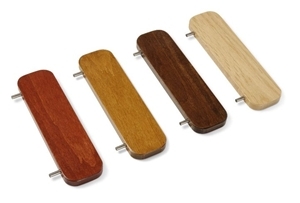 Crafted of alder in Natural, Walnut, Teak, or Rosewood stain with steel pegs.